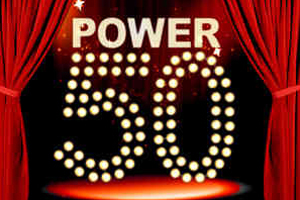 Power 50 voting has now closed following a two-month search to find the industry's most influential leaders. More than 4,000 votes were cast over the past two weeks, with readers voting from a shortlist of 100 names. Tonight's event at Dukes Hotel in London will see a crowd of 100 industry experts cast the final vote, which will be weighted to make up 10% of the overall vote. C&IT editor Yasmin Arrigo said: "Tonight's vote will make up the final 10% of the vote - so, effectively, our guests tonight will form a final judging panel for this year's Power 50."